Umar Akmal is a Pakistani cricketer, who was born on May 26, 1990 in Lahore, Pakistan. He is a right-handed batsman and a wicketkeeper. Umar Akmal hails from a family of cricketers so it was obvious for him to join his brothers. He started playing for Sui Northern Gas Pipelines in 2007 and after his aggressive performance of centuries and half centuries, he was selected for 2008 U19 Cricket World Cup. But he didn't perform there and head to play plenty of cricket to get into the national team. In 2009, he was selected for the Australia A test series, where he scored two centuries and one half centuries. Umar Akmal made his debut against Sri Lanka in ODI in 2009. He scored a half century in his debut match. After hitting a half century, he scored a century in the next match. His test debut came against New Zealand in November the same year. He went on to take four catches behind the stumps and scored 129 runs in the first innings, which was followed by two catches and 75 runs in the second. Akmal had a rather forgettable T20 debut, where he scored a golden duck. His only consolation were two catches behind the stumps. Umar Akmal has rather a very controversial career and has a bad reputation off the field. He has faked injuries, spent time in jail, involved in internal feuds with team members and done many more unworthy things. 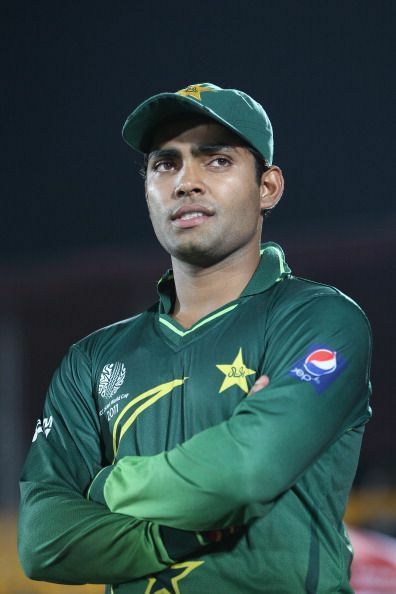 Umar Akmal is an active player of Pakistan Super League and Bangladesh Premier League. He has represented teams like Lahore lions and Chittagong Vikings. He was the top scorer in the 2016 season of PSL. Akmal holds a record of making a century in debut test match. He also holds the record of making his maiden centuries abroad, both in test and one day matches.